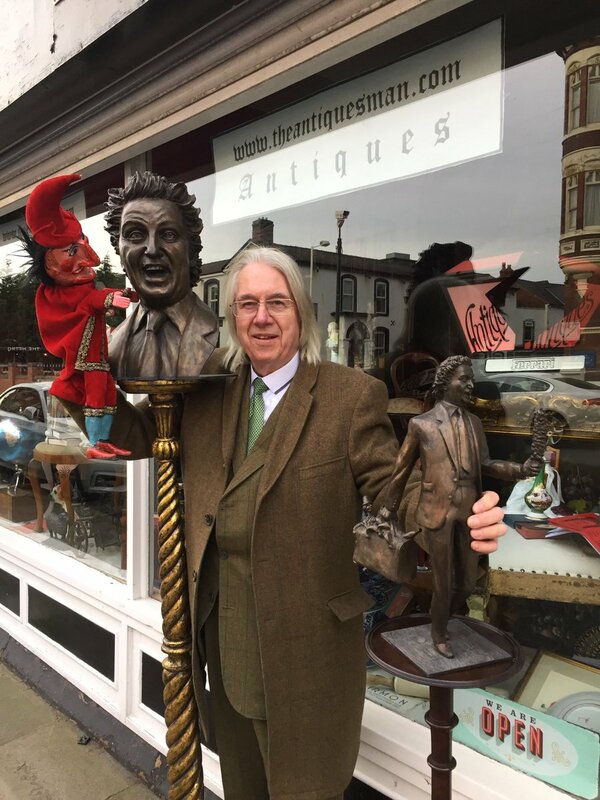 Please include a photograph if possible of your antiques. 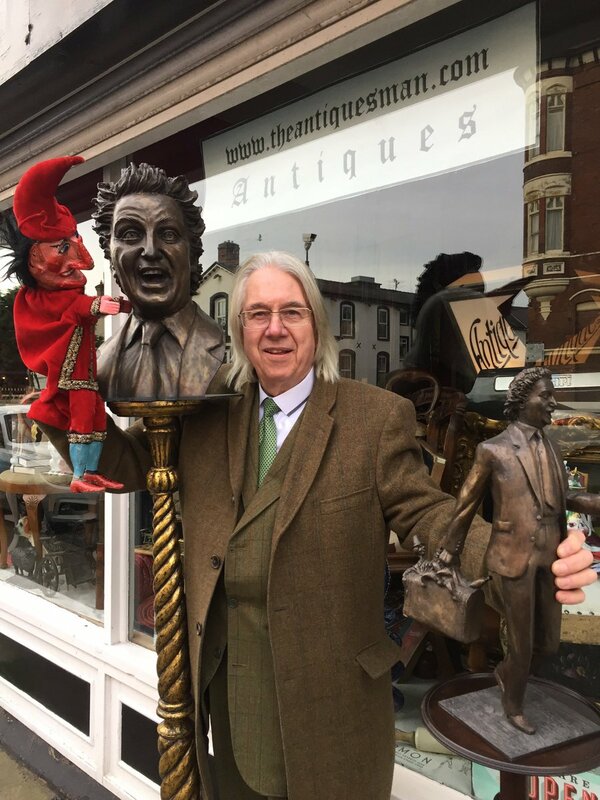 John Nolan theantiquesman for the past 47 years has built up an antique business with clientele that spreads across the globe which includes a U.S President, Film and Pop Stars, and famous musicians and politicians, 'A' list celebrities, sport personalities and thousands of people just like you and me. 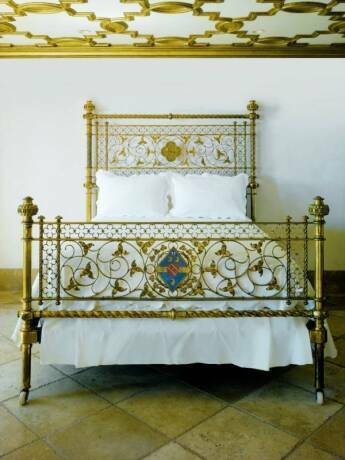 Nolan has supplied the interior design market as well as the antique trade for over 40 years. Brand Names like Macy's, Ralph Loren and Ruby Tuesday used Nolan for their visual effects within their stores. Get a FREE Antiques opinion today. 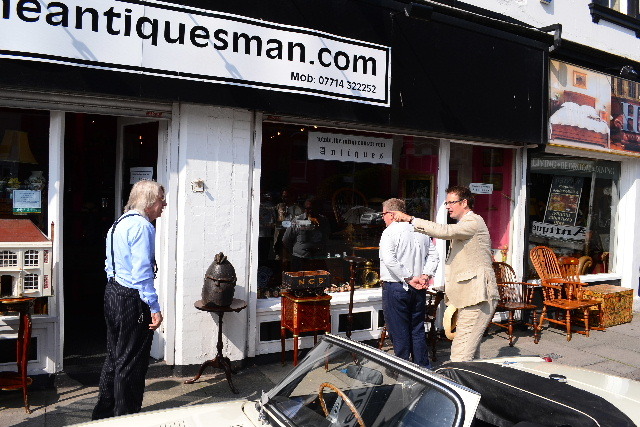 Southport - Antiques Dealers of Southport. Wishing you all a Holy and Happy Christmas 2018. Next year antiques get a year older. 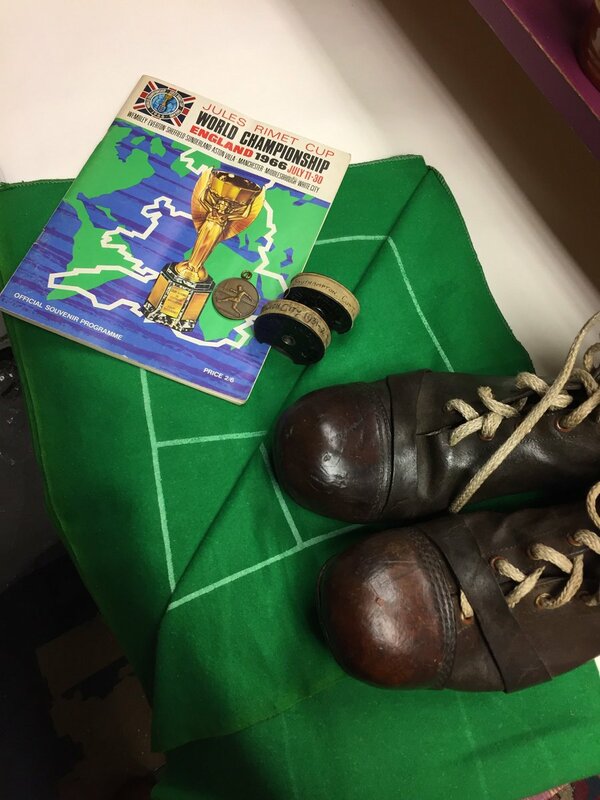 Items made after WW1 will become Antiques. When I first joined the ANTIquestRADE 53 years ago I never thought that Art Deco items would become antiques. TIME Fly's when you are having fun. Hi John, I bought these two wall plaques of Southport in Crosby about 25 years ago and they have been stuck in a box ever since. They appear to be plaster castings but are individually numbered and look to be hand-coloured. Is it worth selling them or should I look for the nearest skip ? Hi John, I’d really appreciate a valuation of this lump. The dimensions are 7ft by 7ft. The only thing I know about it is that the wood came from Rutland Forest. Also could you advise on the best way to go about selling such a beast. Many thanks. Phil. Interesting stories about an up and comming artist to invest in. Happy Christmas Wishing all the collectors, antique buyers and dealers and my customers all the best over the festive season and for the New Year. 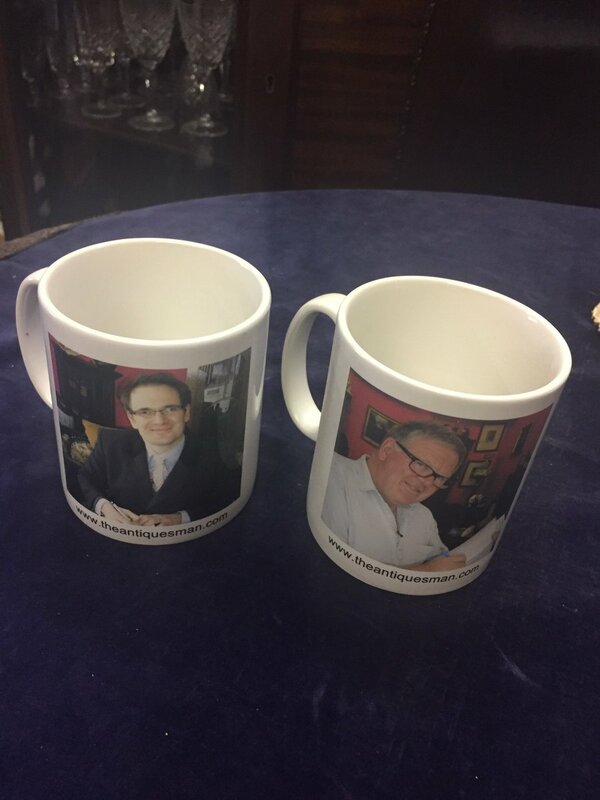 TWO MUGS...................... 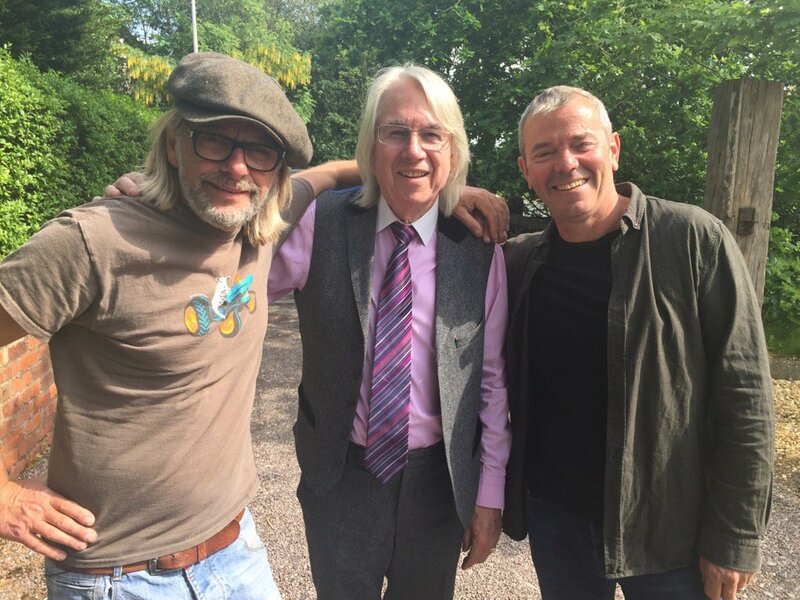 I hope the Christmas song does well for The Antique Road Trip. Josias Booker of liverpool and Demerara and founder Royal Insurance Co.
have a laugh......... post your pictures of celebrities ..